“Look, it’s impossible to prepare for anything of the scope and magnitude of the Japanese disaster,”said Jack Gold, an analyst at J.Gold Associates. “The Japanese disaster is so wide-reaching that [communication] infrastructure was affected, not just the individual cell towers. And it doesn’t even take a disaster this destructive to break down our communication systems. Just think about it: during a disaster, everyone tries to get in touch with their families, so it`s basically impossible for the lines to be functional. Sure, cellular carriers have improved their disaster readiness and recovery programs over the years (especially after 9/11). But even if they’ve reinforced structures and improved battery backups… you don`t have the guarantee your network won’t be down for hours (or even days!). And that also applies to Internet connection. First, decide who you will call to update with your status during an emergency. It`s better to have 2 or 3 contacts, in case one of them doesn’t answer. Ideally, at least one of your emergency contacts should be out of town. During a disaster, it might be easier to make a long distance call than to reach a person living in the disaster area. Make sure everyone memorizes their contact details, but also write the data down for each member of the family. Also, you should set a meeting point. In case all communication fails, there should be a place where everyone reunites. Everyone should carry this list around with them, at all times. My former English teacher had a son with a severe heart malformation. One day, the boy collapsed on the street and the only thing that saved him was this personal file that a passer-by found in his backpack. He immediately took him to the hospital and gave the file to the doctor, who operated him and saved his life. Two-Way Radios – In the event cell towers are down and landlines don’t work, a set of two-way radios might be just the ticket for staying in touch. If you remember two-way radios as a static-filled but mostly frustrating toy from your youth, think again. New versions of this communication option can have a range of 30 miles [PH adds – Not likely unless you are on top of a mountain or the desert with nothing in between you and the other radio], which should meet the needs of most families in the average urban situation. Some features to pay attention to when shopping are battery life, channel selection, range, privacy codes and size. CB Radio – CB radios, or citizens’ band radios, have been used for decades by amateurs to communicate with people across the state or around the globe. Most people are familiar with the version of CB radio installed in truckers’ rigs. These are similar to portable two-way radios. Another CB radio option is a base unit, which is installed in the home. Base stations can communicate reliably up to about 30 miles, although this can extend to hundreds of miles when atmospheric conditions are right. Because a CB radio has its own antenna, you don’t have to rely on a cell tower or telephone company land line to stay in touch. Rotary Dial – Most landlines telephones in use in America today are cordless. They’re handy, but have a serious drawback: When the power goes down, they no longer work. A cheap workaround is to visit your local pawn shop and pick up an old-fashioned rotary dial phone that can be plugged directly into the phone jack. These continue to work even if the electricity is down, provided that the telephone lines are intact. 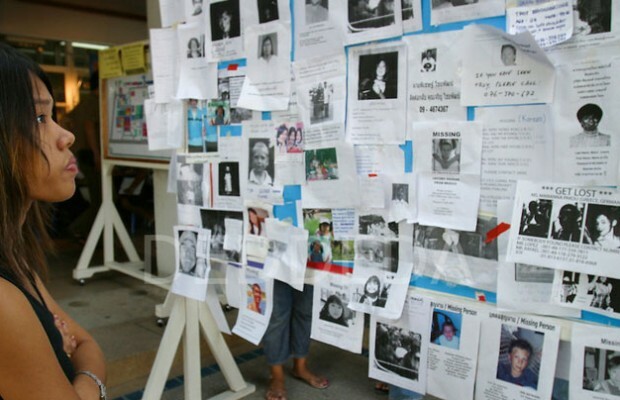 Bulletin Boards – This strategy is about as low tech as it gets, but can be very effective in emergency situations. This “bulletin board” refers to the old-fashioned type, often made of cork and hung on a wall, usually at the entrance to a library or other public establishment. Before a disaster strikes, outline with family and friends a network of three or four bulletin boards at different sites around town. In the event your family becomes separated and can’t find one another, instruct everyone to post messages on the preselected bulletin boards. Some foundations and NGOs have set up free services to help you get in contact with your family when communication lines are down. Here are three of the most popular, according to apartments.about.com. Safe and Well List – Maintained by the American Red Cross, this free Web service lets you register yourself as “safe and well” following a disaster. As a registered member, you can select standard messages indicating your well-being as of a certain date. To help maintain privacy, people who search for a member must know the member’s pre-disaster phone number or address. Contact Loved Ones – Contact Loved Ones (CLO) was created by Project Genesis, a New York not-for-profit organization, to help people reach family and friends in the wake of Hurricane Katrina. As long as you can find a working telephone, you can use this free voice mail service during any type of emergency by listening to or leaving messages — and there’s no access code required. This service is helpful if your regular telephone isn’t working or you’ve been displaced from your apartment. To access the service, just call 1-443-992-4890 and follow the instructions. National Next of Kin Registry – The Next Of Kin Registry (NOKR) is an emergency contact system that helps locate a person’s next of kin in the event that person is missing, injured or deceased. Unlike the services mentioned above, this service intends for you to register before a disaster occurs. In addition to registering yourself, you can register family members and friends, along with their emergency contact listings. Each registration is time-stamped and the information is kept secure. In the event of an emergency, only registered agencies (such as the police or a medical examiner’s office) are permitted to retrieve your information. You can still use Google even if all you have is SMS access. Just add 466453 (GOOGLE) to your phone book, then text to it as if you’re searching. Here’s something you may not have known about your phone number: It has an e-mail address. Almost every carrier operates what’s called an e-mail gateway, meaning that you can send and receive e-mails via text. Now, to receive your e-mail via SMS, you’ll need to forward it to your gateway address: Most e-mail services offer this for free in the settings page. Here’s how to do it inGmail, for example. You’ll have to turn this on before you lose Internet access. So, like, now. If this doesn’t work, and in my experience it may not, depending on your carrier and e-mail provider, you can try an automated forwarding service such as TXTJet. To send e-mails via text, you can usually just enter an e-mail address instead of a phone number. These same e-mail gateways work in reverse, meaning you can either respond directly to messages forwarded through the gateway or send a new message by entering “[email protected]” in the recipient box in your texting app. This works on many older phones, too, though typing out email addresses on a T9 keypad will be a chore. It’s not the most graceful process, but it works. If you don`t have a disaster communication plan with your family yet, you can start off by following these instructions, while adapting them to your needs. And if you’ve got some other ideas that I haven`t covered in this article, please share them with the MFSP community in the comments section. And don`t forget: whatever you do, stay safe!